Nicole Toomey Davis is the President, CEO and co-founder of Enclavix, LLC, and co-creator of VentureWrench. MBA 1991 from the Stanford Graduate School of Business. 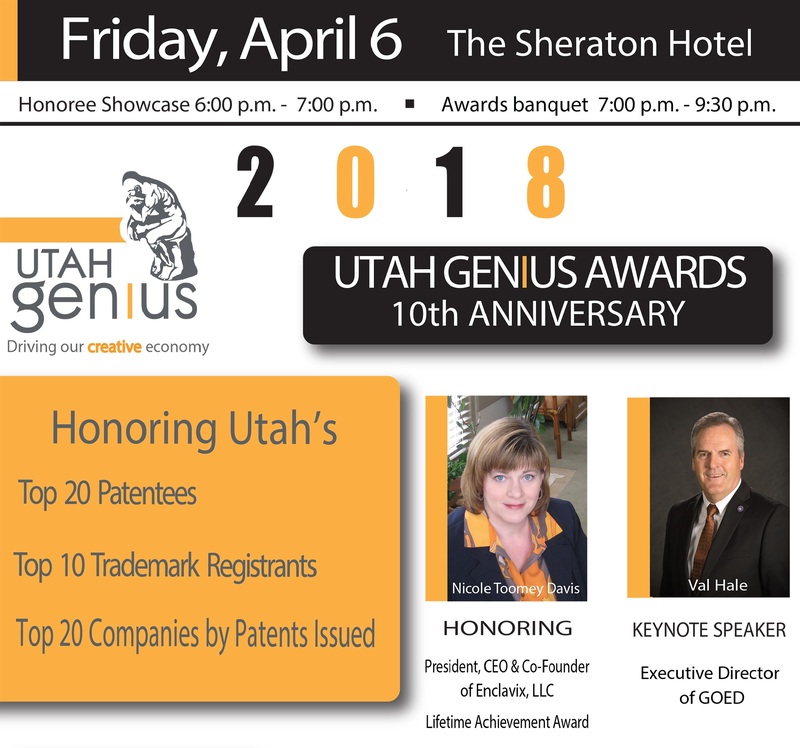 Lifetime Achievement Honoree from the Utah Genius Awards for 2018. Enclavix is an AI – based software company that creates online tools to accelerate innovation and entrepreneurship. The company has received over $1.2 million in funding from the National Science Foundation through the SBIR program to allow the launch of the Machine Learning – powered VentureWrench Library, the free online library of curated startup resources to help entrepreneurs get quickly to success. Ms. Davis is the creator of several online courses, including “Designing the Perfect Investor – Raising Money for your Startup”. Ms. Davis is a serial entrepreneur who is the former President, CEO and co-founder of DoBox, Inc., the leading provider of residential gateway software and parental control solutions for the broadband gateway industry, designed to protect kids and families online. Ms. Davis launched DoBox in 1999, raised $2.6 million in investor funding and led the company to a successful acquisition by Netopia, Inc., later acquired by Motorola, in early 2002. After selling DoBox, Ms. Davis was recruited to serve as the Director of the Centers of Excellence Program for Utah’s Governor’s Office of Economic Development, where she served for 6 years, bringing her experience as an entrepreneur to help accelerate the commercialization of Utah’s most promising University- based technologies. During her tenure, the program provided millions of dollars in grant funding and mentoring to university licensees and spin-outs. She worked with hundreds of the most sophisticated technology startups in Utah during her 6 years of tenure at this program, evaluating over 280 university technologies and supervising investment in 112 technologies. Ms. Davis is well regarded by her peers and leaders in the community. 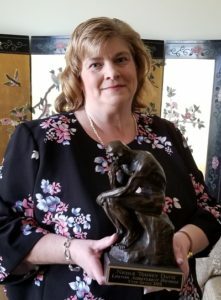 The Utah Genius Awards selected her as the Lifetime Achievement Honoree Genius for 2018. In January of 2013, she was honored to receive Utah’s Governor’s Medal in Science and Technology for 2012 for her service to the technology entrepreneurial community as the Director of the Centers of Excellence Program. She was selected by her peers as a member of the vSpring v|100, Top 100 Venture Entrepreneurs in Utah, 7 times during the award’s duration from 2004 to 2012, including 2004, 2005, 2006, 2008, 2009, 2010 and 2012. She was profiled in the April 2012 issue of Utah Business revisiting Women to Watch alumni. In 2009 she was awarded the Community Builder award by the Women Tech Council and was profiled in Utah CEO Magazine the same year. In 2007, Ms. Davis was named by Connect Magazine as one of the 25 most influential business leaders in Utah, as ranked by Connect’s readers. She shares insights on entrepreneurship from her experience and the experience of other entrepreneurs and publishes them as StartupNotes. Utah Business named Ms. Davis to their “40 under 40” list of Utah’s Rising Stars in their February 2006 issue. 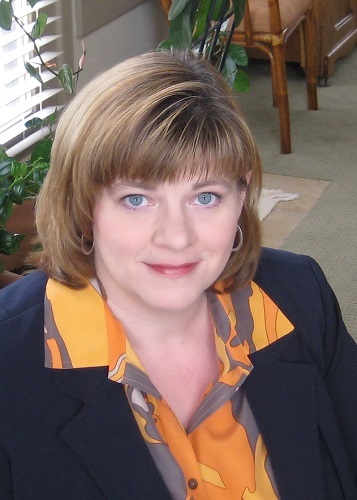 In 2001 Ms. Davis was named one of Utah Business’s INNOVATORS – 30 Women to Watch. Ms. Davis has served on many community boards, including serving as an Officer of the MountainWest Capital Network (MWCN) and serving as a member of the Board of Trustees of the Utah Technology Council for six years. She has also served as a member of the Advisory Board for the Women Tech Council and as the co-chair of the Utah Technology Council’s Emerging Executive Peer to Peer forum. Ms. Davis was a leader in the 2003 industry drive for adoption of the Utah Venture Capital Enhancement Act, which created Utah’s Fund of Funds, designed to increase the available supply of Venture Capital for Utah companies. Earlier in her career, Ms. Davis served as a Trustee of StageRight TheaterCompany, a local producer of classic theater. She enjoys working with new ventures and serving as an adviser and mentor to emerging companies. Prior to DoBox, Ms. Davis accumulated over a decade of international marketing, strategy, and sales experience in the networking industry, focusing on wired and wireless local and wide area communications, network management and security, mobile management, and home networking. She was instrumental in the growth of mobile communications during her tenure at Megahertz, later acquired by U.S. Robotics and then 3Com Corporation, with key positions in marketing, business development, and strategic development, helping to grow the business from $100 million to $800 million.